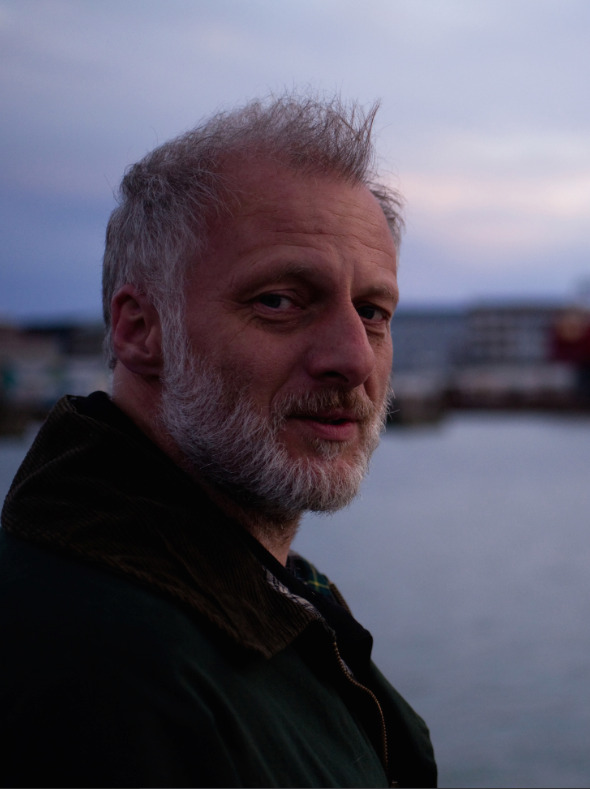 Quentin Bates is the author of six crime fiction novels and the translator of Ragnar Jónasson and Lilja Sigurðardóttir novels. His new novel, ‘Cold Breath’ is out now. Today Quentin shares his writing tips for aspiring authors. Just concentrate on the story and don’t let yourself get sidetracked. Don’t be afraid to cut stuff that doesn’t work. Try to do something on your WiP most days, even if it’s just a few words, as it keeps it ticking over in your mind. Don’t ask your Mum’s opinion of your work – ask someone who doesn’t love you. Read more about Quentin and his writing journey here. Quentin Bates is the author of six crime fiction novels and the translator of Ragnar Jónasson and Lilja Sigurðardóttir novels. His new novel, ‘Cold Breath’ is published by Constable on the 11th October. I’ve been a journalist for quite a few years – nothing wildly exciting, as I write mostly about shipping – so it was a side-step into books and fiction. I did a creative writing course, mainly so I could have an afternoon a week off work, and the first book in the series grew out of that course – even though I had gone into it expecting to come out writing non-fiction. Can you tell us a bit about your upcoming book, ‘Cold Breath’? 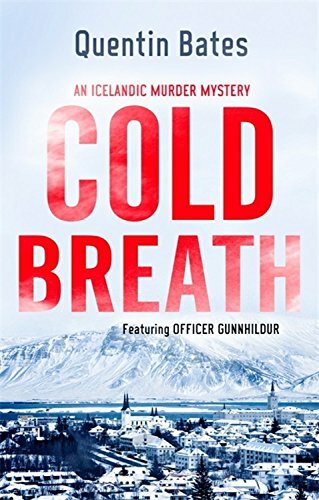 ‘Cold Breath’ is the latest in a series that centres around a Reykjavík police officer called Gunnhildur Gísladóttir who has solved a good few murders before now. In this book things are a little different, as I wanted to take her out of her comfort zone entirely, so instead of hunting a criminal, she has been assigned to be a bodyguard for a visitor to Iceland who has a price on his head. The two of them have little in common and don’t like each other a great deal, and it isn’t clear if the mysterious visitor is everything he claims to be. That’s about all I can say without giving away any spoilers. Why did you decide to write crime? I’m not entirely sure. It was something I had been tinkering with for a while and when it came to it, it was almost a snap decision to go down the fiction route. As I said, I had expected to be firmly shackled to non-fiction rather than crime novels, but sometimes these decisions seems to take themselves. Is there anything that you would change about your writing journey? I would have liked to have started earlier, and a little more confidence at the outset would have been ideal. The chilling General Carmona, the Hairless Mexican from one of Somerset Maugham’s Ashenden stories. It’s hard to tell, as there are so many. It’s probably ‘The Hitch-Hiker’s Guide to the Galaxy’. ‘The Hitch-Hiker’s Guide to the Galaxy’ (preferably the omnibus edition of the whole trilogy in four parts), Saki’s collected short stories and ‘The Code of the Woosters’ by PG Wodehouse. On a desert island, I’d need something that raises a laugh. As little as possible. Preferably nothing more than a table with a keyboard and a screen. And finally, do you have any projects or releases on the horizon which you would like to share with the readers of the website? Right now I’m back in translation mode, working on two more books by Lilja Sigurðardóttir, Cage which will appear in English in 2019, and Betrayal in 2020, as well as the translation of Indriði G Thorsteinsson’s Cab 79 which has just been published. There’s my own stuff as well, which is on the back burner at the moment. There’s a story that’s brewing, but I’m not sure yet if this will be Gunnhildur or something different. You can buy Cold Breath from Amazon and is available to buy from good bookshops.